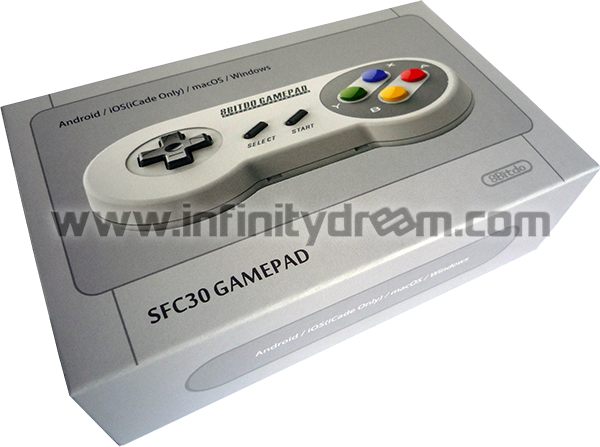 8Bitdo SFC30 Gamepad 30th Anniversary Edition game controller for Android, iOS(iCade) and Mac/PC systems. 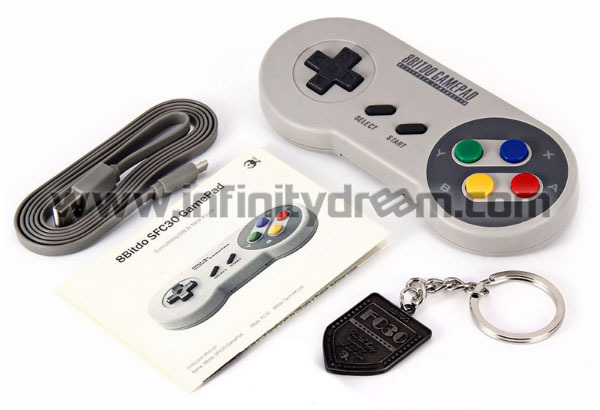 This Super Famicom™ / Super Nintendo™ wireless controller has 8 buttons and 1 directional pad. With its Xtander phone stand (sold separately), it is the perfect controller to play all your retrogaming games and other platform games on mobile device.